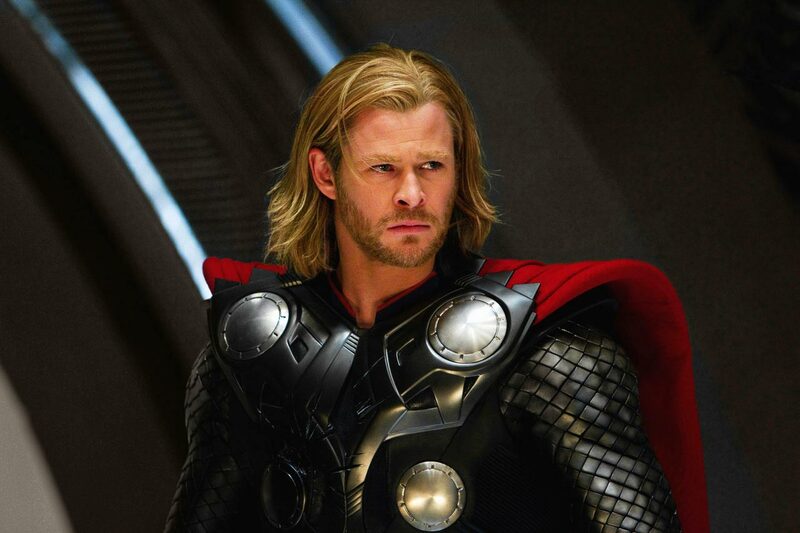 Marvel's latest step on the journey to The Avengers comes in the guise of Kenneth Branagh's action adventure epic, Thor. Potentially the most anticipated of Marvel Studios and Paramount Pictures collaborations manages to bring a lesser known superhero to the fore to create a film with much more soul than your usual cape caper. It's almost impossible to keep track of how this character came to the screen. 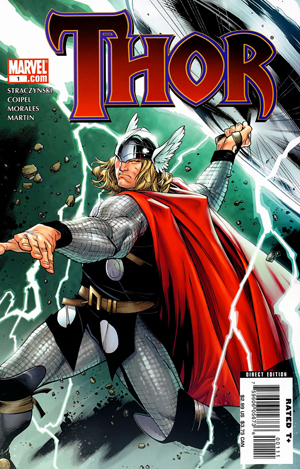 Thor is the age old Norse god who was first characterised in comic book form in the pages of Marvel Comics' Journey into Mystery #83 by Stan Lee and Jack Kirby in 1966. He was "modernized" in the pages of a 2007 relaunch by artist Olivier Coipel and writer J. Michael Straczynski of Babylon 5 fame. Also, it has a real-life knight playing a god! 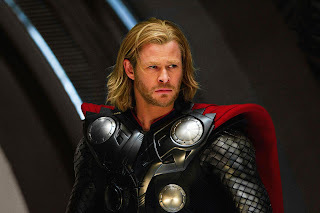 In the film, masterfully directed by Branagh, Thor the Norse god of thunder is a vain, arrogant and headstrong warrior being groomed for the throne by his father, the all-father Odin, before being cast out to Earth in search or humility and humanity. When I spoke to a friend after watching Thor, the first question I was asked is whether I thought Thor was better than Iron Man. An incredibly difficult question to answer, especially when you're as big a Thor fan as I am. 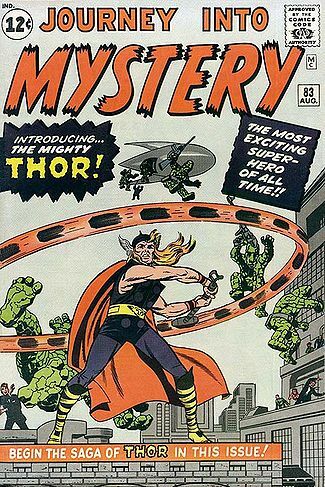 I've always been a fan of Norse mythology and eventually the Thor comics. Walt Simonson's run is still one of the greatest comic book runs I have ever read. But to put it simply, yes, I think Thor is even better than Iron Man. This film is set in three very different worlds, Asgard the lands of the gods, Jottunheim the land of the frost giants and Midgard, Earth. Branagh has masterfully created a completely different feel for each of the worlds. When I say complete I am more so referring to the use of an individual colour palette. The real world is subdued an somewhat dull while Asgard is filmed through a honey soaked lens creating a glorious world of gold. The scale of Asgard was captured perfectly. It is as large and epic as one would expect from the realm of the gods while still looking like it is an operational and lived in universe. I was honestly wowed by Chris Hemsworth and his performance as Thor, he managed to be regal and brutal while maintaining the vulnerability of a child in search of a fathers approval. He is an immortal being in search of his own humanity which he finds in the form of heartbreak. As Buddha teaches in the Four Noble Truths, life is suffering. When I say he's brutal, I mean that he convinced me that he could kick the living crap out of me. That guy is a tank! He filled his scale armour and winged helmet like a true hero while still managing to inject a touch of comedy at the right moments. Humanity and humility see to be the overriding themes in the film although its subtle enough not to be preachy or force fed. I am guessing that the costumes of the Asgardian's are loosely based upon the designs of Olivier Coipel. Thor's costume is regal and befitting a warrior while Loki's horned helm invokes a sense of his evil and sinister potential. The Warriors Three are re imagined and modernized by turning Volstagg from an obese, oafish brawler into a robust warrior who enjoys a good suckling pig... or two... or three. Thor has taken some rather heavy story elements and turned them into a light and easy viewing experience. That being said, there's enough depth to keep discerning tastes appeased. Light humour from The Warriors Three, uncomfortable puppy love from Jane Foster (Natalie Portman) and some gut wrenching emotional scenes shared between Thor (Hemsworth), Odin (Sir Anthony Hopkins) and Loki (Tom Hiddleston). This is where the film truly shined for me, where it broke free from its "popcorn" film label. Thor and Loki are two brothers, fighting for their fathers affection, Loki even more so. Hiddleston gave a stellar and gut wrenching performance as the God of Mischief without being campy or even evil. He is a child in search of his fathers affection which is normally reserved for the golden haired wielder of Mjolnir, Thor Odinson. This is the second to last character film before the all encompassing Avengers film hits cinemas next year. Hinting as to which characters will be involved we get mentions throughout the film and a full scene containing another character that you don't exactly need an "eagle eye" to spot. Marvel and Paramount have gambled heavily on Thor and Captain America. These two films will set the foundation for Avengers, a film that is no doubt going to cost the studio an absolute packet. If either of those films are a disastrous failure it could mark doom for the eponymous superhero team. Thankfully, Thor surpassed my expectations and will even be privy to a second theatre viewing, a thing which is increasingly rare considering the price of admission nowadays. After watching Thor I cannot wait to see Captain America, if this film is anything to go by it too will be a blast. As with all Marvel Studio films you should make sure to stay until after the credits finish to get a quick glimpse into the story of the upcoming Captain America film, also from Paramount Pictures. 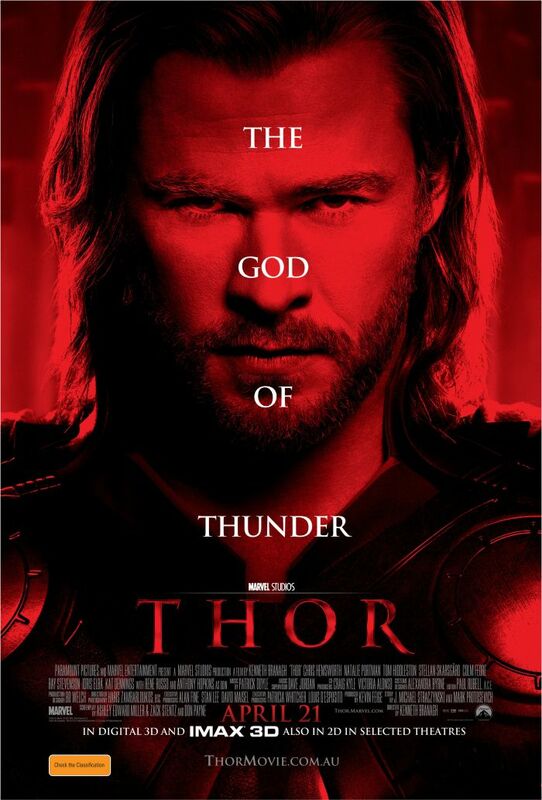 Thor is in theatres throughout Australia from Thursday the 21st of April 2011. You've already watched the movie!?! Yes indeedy. I was lucky enough to see it yesterday at a press screening with the likes of Charli DeLaney, Jono Coleman and Margaret Pomerantz. You know you're a nerd when you get excited to see Margaret P!